Updated 2018 Ford IMSA Race Livery Gallery! It’s been just over two weeks since applicants for the new Ford GT were given notice of their application status. The 6,506 applicants were put into three categories for the 500 allocations Ford doled out: accepted, priority waitlist, and deferred. There’s been much discussion about who got an allocation, especially on the celebrity front, and now we have some clarifying information on the subject. 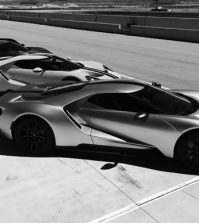 Raj Nair announced at Ford GT Rally 10 that existing Ford GT owners would be giving priority in the allocation process for the new GT. In an interview that’s just been published on @FordOnline, Nair detailed that nearly 70% of the first 500 allocations went to existing GT owners. Additionally, 87% of the total allocations went to existing Ford owners of some kind. Based on the application questions themselves, it’s safe to assume that second group was comprised primarily of large fleet customers, Ford suppliers, motorsports partners, major collectors, and a handful of Ford dealers. Whatever the exact composition of the remaining allocation recipients, it’s clear that existing Ford GT owners were by far the largest applicant group that received allocations. 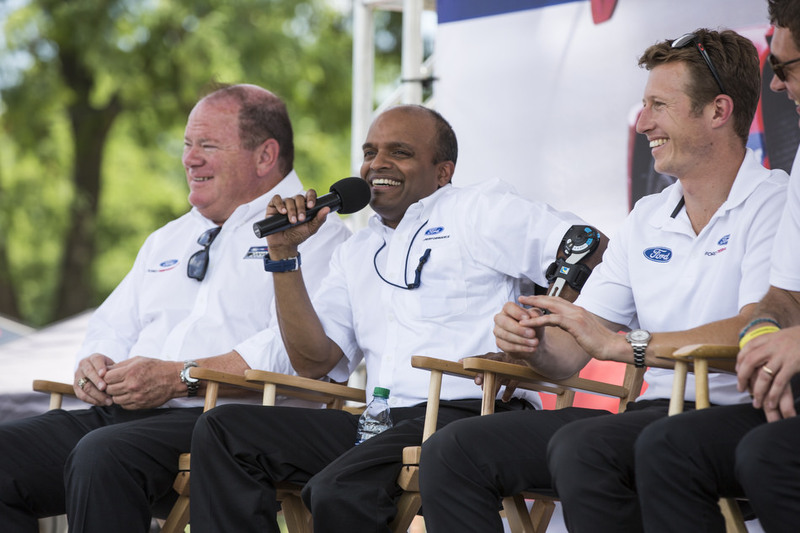 Raj Nair, flanked by Chip Ganassi and Ryan Briscoe, discusses Ford’s victory at Le Mans. 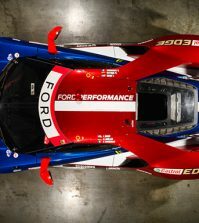 Ford has publicly committed to racing the new Ford GT for a total of 4 years, including making clear the intent to continue the 4-car assault at Le Mans through 2019. Ford’s head of global product development has now stated the company is working on a plan that will allow them to satisfy “even more” of the deserving applicants who threw in hoping for a new GT. Ford has already notified a large block of applicants that they are on a “priority waitlist” and had those individuals turn in the same order preferences and signed affidavits accepted applicants did. The implication here seems obvious. The fact that nearly 350 of the 500 cars went to existing GT owners has to make you feel good about your odds as a GT owner in the event future production is announced. We’ve seen at least 70 recipients acknowledge on this website that they received an acceptance letter, and there are a number of forum users whose applications were accepted that have yet to acknowledge that fact publicly. Most of these people have little or no social media presence and essentially none of them are famous, so that alone blows an enormous hole in the notion Ford primarily catered to celebrities or social media with the allocation process. 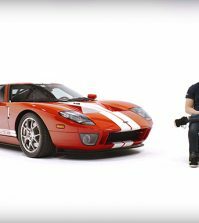 Based on production volumes, it was a mathematical certainty that some really great customers and Ford GT enthusiasts would not get one of the 500 allocations. 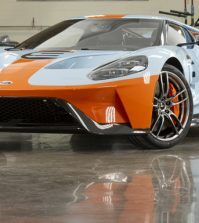 However, with the information we have now, it appears certain that there is cause for both patience and optimism for Ford GT owners hoping to get a new GT. Stay tuned indeed. Thanks for this Dave. Do we have any indications as to what the European allocation was? Was anyone in Europe successful or put on the Prioity List? Unfortunately as a long time UK based GT owner I wasn’t. Still don’t understand how a Ford GT owner who owns and has owned numerous new Ford products who additionally provided a $1000 out of his pocket to any of 150 employees who bought a new Ford product in a 90 day window in 2009 when Ford refused a government bailout and who received a personal letter from Bill Ford thanking me for my loyalty to Ford stating ” that it brought a smile to his face” and included all of this in his application did not receive an allocation or at the least make the priority list. Help me out. I too am a UK Ford GT owner, I have personally bought a few New Ford’s over the past 4 years, about 300 at last count for my ! None of my cars lie dead as museum pieces, but all I got was a no thank you letter from both Ford UK & USA. I still can not get used to the taste of sour grapes…..! Thank you Ford for inviting me to the 6 hours Silverstone race last year, but it just made it even worse.